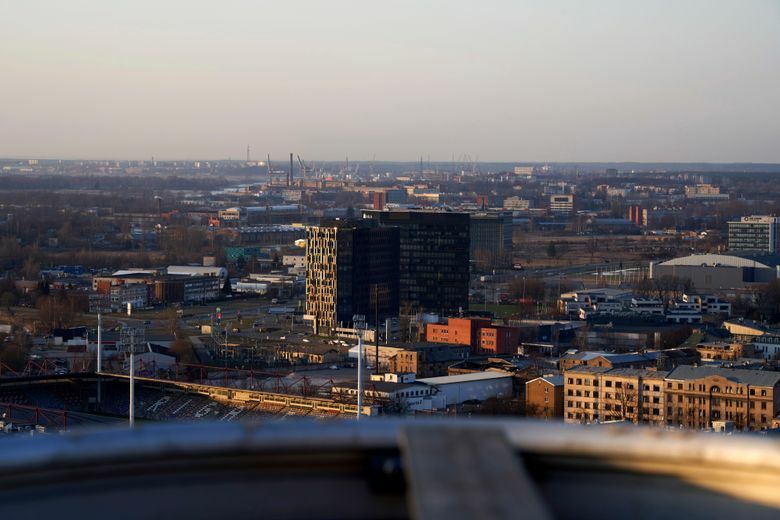 RIGA, Latvia (AP) — When the U.S. hit North Korea with sanctions last year, Pyongyang’s state-owned banks found a quiet backchannel to keep money flowing to the country’s ballistic missile programs, the U.S. says: the tiny European country of Latvia. Latvia has come into focus as a potential weak link in the West’s banking system as the U.S. and EU increasingly rely on financial sanctions as a weapon in their diplomatic spats — with North Korea, but also Russia and Syria, among others. 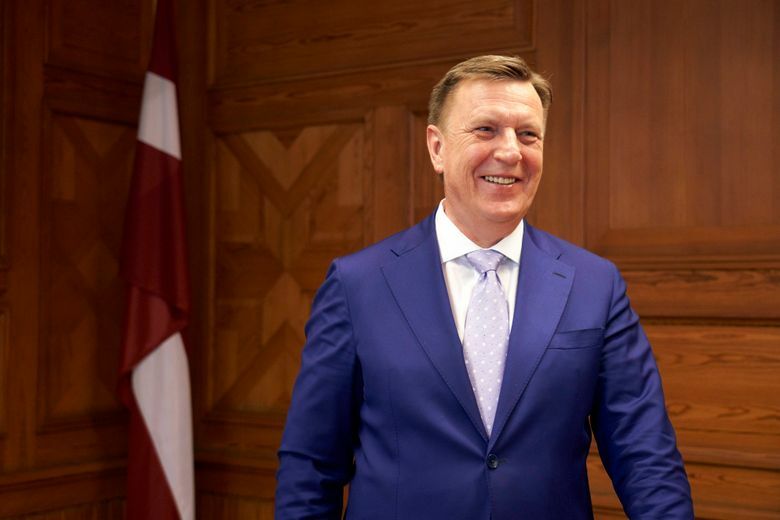 After a slew of accusations of high-level corruption, Latvia is now trying to appease its U.S. and European allies and drastically reform its financial sector. Kucinskis and his government have come under intense pressure to take action since the U.S. Treasury published a scathing report in February on one of Latvia’s biggest banks, ABLV. The report accused the bank of proactively trying to circumvent financial rules to launder money and skirt sanctions, and said it bribes Latvian officials to be able to do so. Latvia has strong business ties to Russia and other former Soviet states, and a third of its population is ethnically Russian. It has a long history as a banking center and, since the 1990s, has sought to become a “Switzerland on the Baltic” by offering financial services to foreign individuals and companies, often shell companies whose true ownership is kept secret in tax havens like the Cayman Islands or Panama. Several small EU countries, like Cyprus and Malta, have likewise been accused of being used for money-laundering. The size of the problem in Latvia has been laid bare by numerous reports over years. U.S. and European authorities say it was involved in the so-called Magnitsky scandal, in which $230 million in Russian taxpayers’ money was siphoned off. In 2014, leaked documents detailed how $20 billion was sent from Russia, largely through Latvia, over a four-year period. The so-called Panama Papers showed many of Latvia’s banks did business with shell companies owned by Putin associates. Latvia promised repeatedly to clean up as it prepared to join the EU’s shared euro currency in 2014 and the OECD, a club of developed economies, in 2016. Those efforts apparently proved insufficient and the country is now taking more drastic measures. Latvia says it will ban its banks from doing business with shell companies, which can be used to mask wrongdoers’ identities. In the case of ABLV, the U.S. says North Korea was using shell companies that the bank should have known were fronts. Banks note that shell companies can be used for legitimate business purposes, such as to facilitate a multinational’s payments across borders in different currencies. The onus is on banks to know who benefits from a shell company they provide services for, though banks usually are fined only when proven to have systematically circumvented the law. 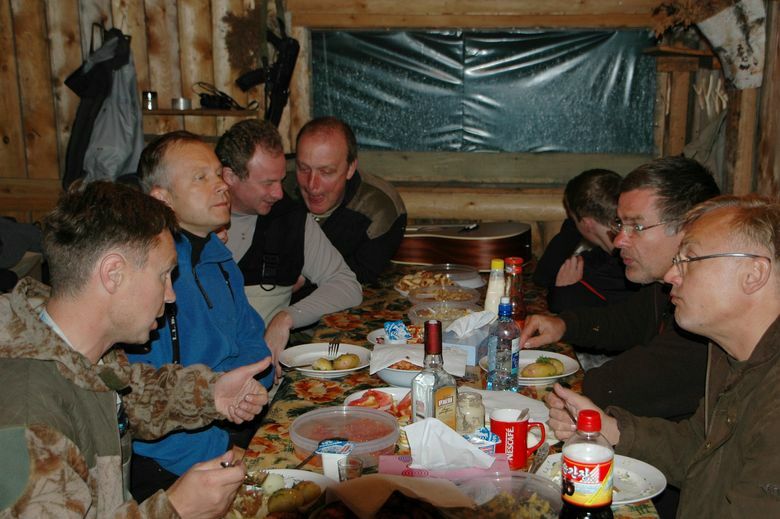 “We have to have a new approach to the way our financial system works,” Kucinskis told the AP. In 2015, Latvian banks held deposits from people outside the country worth over 12 billion euros, the equivalent of almost half the entire economy. By the end of 2017, those deposits had fallen by a third to 8 billion euros and are likely to have dropped further since then because of ABLV’s collapse. About half of those deposits are owned by 26,000 shell companies, the Latvian regulator estimates. And the figures do not capture money that merely travels through Latvian banks, without staying in them. Eriks Selga, a Latvia-based researcher with Philadelphia’s Foreign Policy Research Institute, say the efforts are by far the most extreme reform of Latvia’s banking industry to date, effectively ending its decades-old role as an regional financial hub in a matter of months. He, too, noted that Latvia’s problem has been that its laws are not properly enforced, particularly by authorities like Rimsevics, who Guselnikov said actively flouts the rules to profit personally. The kind of money-laundering that happened in Latvia in recent years is “not possible without regulator involvement,” he said. 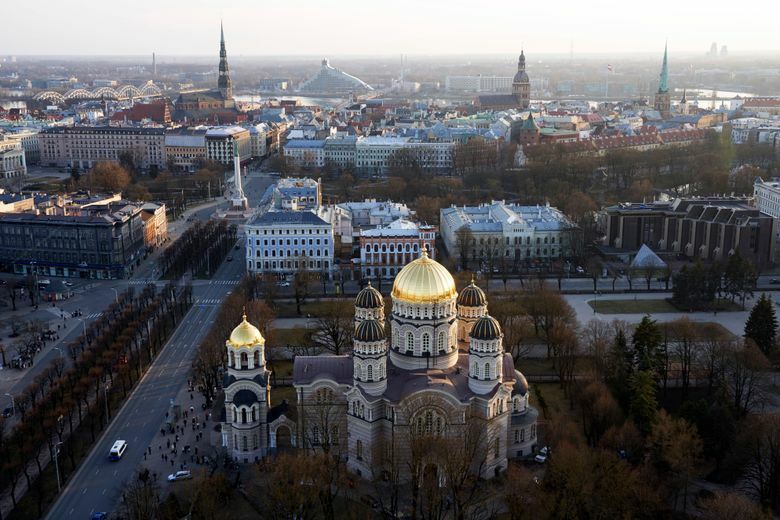 Rimsevics has become the poster child for Latvia’s banking troubles. He has been at the top of the central bank for 25 years, almost since Latvia’s independence from the Soviet Union, and oversaw the country’s growth as a banking hub. Another complicating factor in Latvia’s bid to clean up its image is that the official in charge of detailing to the U.S. how Latvia is fighting financial crime has a history of working for banks that engaged in money-laundering. Arnis Lagzdins worked for Latvia’s Parex bank before its collapse in 2008 and for Lithuania’s Ukio bank before its demise in 2013. In both cases, he was the compliance officer, in charge of ensuring the banks did not run afoul of money-laundering rules. After Parex’s failure, an audit found the bank had been giving huge loans to politically connected Russians without collateral. Ukio was mentioned in the leaked Panama Papers documents as being used by Russian cellist Sergei Roldugin, the godfather to one of Putin’s daughters and a longtime friend. After that bank collapsed, its main shareholder, Vladimir Romanov, was suspected of embezzlement and fled to Russia, where he was granted asylum in 2014. A little over a year later, Latvia’s financial regulator tapped Lagzdins to be its envoy to Washington. Both the regulator and Lagzdins, who has not been accused of any wrongdoing, declined repeated requests for comment.